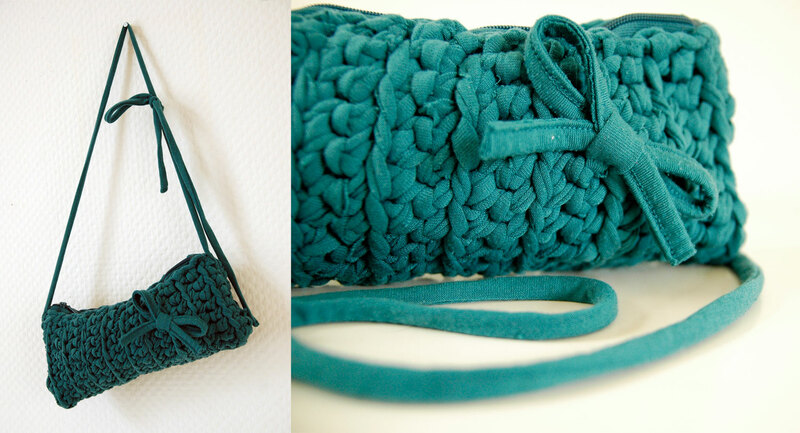 Very fashionable now: dark, juicy teal green color. 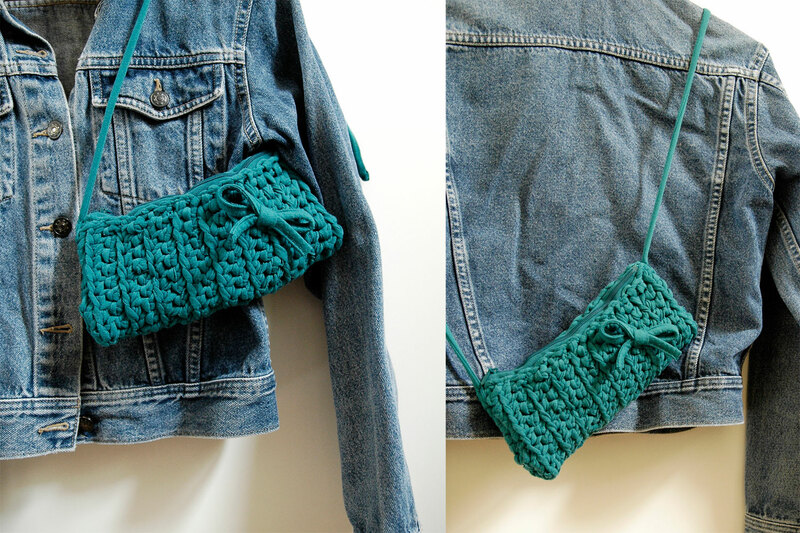 Handy crocheted purse will accommodate all the little things that you want to have on hand. On a long bar, which can be freely adjusted. Suffice it to bind to the desired length. In this way can be as long as You need. Once may be on shoulder and once overhanging diagonally across the back. Every time you do as you wish. Perfect for a party, a night out. Hand crocheted from ‘t-shirt’ yarn. 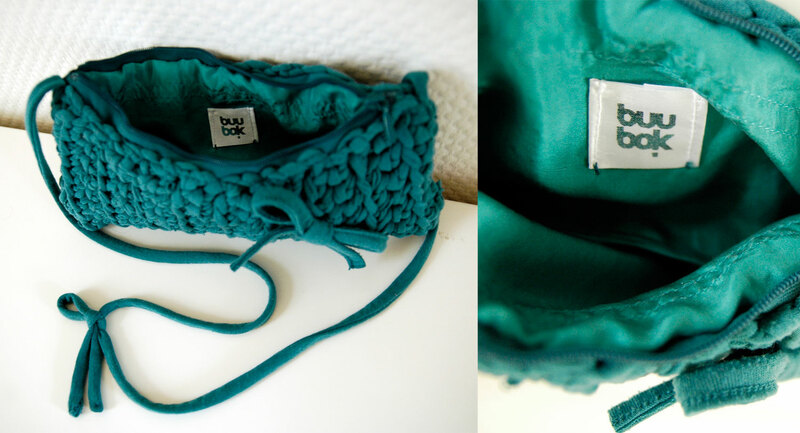 To make this purse Buubok used only material obtained from one shirt. The shirt is hand-cutted into strips to make a suitable yarn for crocheting. Other items such as decorations or strap are made from the elements of the same shirt also. Zipped, with matching silk lining. Decorated with a textile bow. Unique model. Only one item. 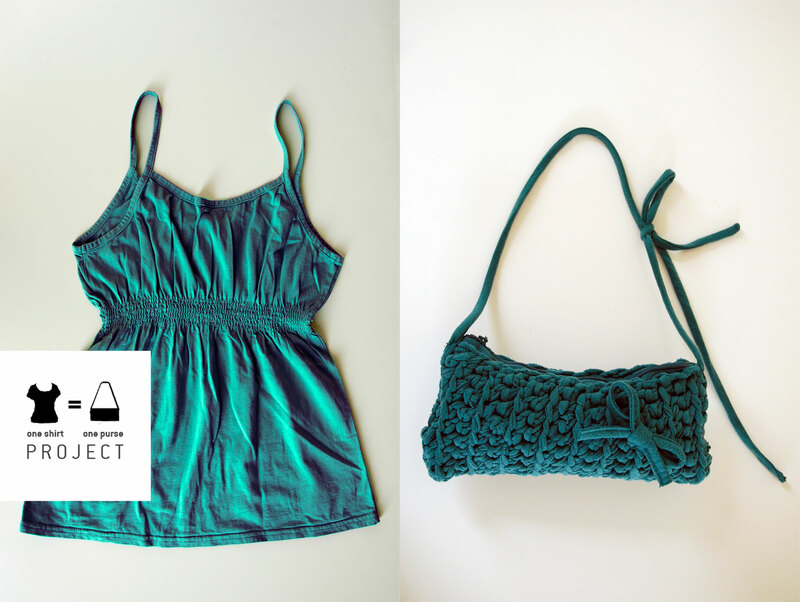 This purse was made for ‘one shirt = one purse’ project. Eco friendly! Adorable clutch! the little bow adds just the right touch of fun! thanks for so much good and kind words. (&likes). that is a pleasure to hear. I will be honored by seeing my designs on your blog. Of course, I agree:))). :-)…I’ll do that very soon!